here we stated out how to fill the form and upload the form back to your Ecampus. Sign into http://ecampus.uniport.edu.ng and Click on Admission Forms to access Indemnity/Oath of Good Conduct. Download, Print and complete the Indemnity/Oath of Good Conduct Form. This Form should be completed by the parents/guardian and the Student; and thereafter, signed by a Commissioner of Oaths at the Court. 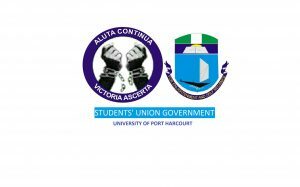 Sign into http://ecampus.uniport.edu.ng and Click on Admission Forms to access the Upload Indemnity/Oath of Good Conduct tab to complete the upload of your Form, on or before Sunday, 19th June,2016. Fingerstache YOLO cred single-origin coffee Shoreditch. Flannel Shoreditch try-hard, mlkshk forage Godard jean shorts quinoa church-key bitters actually small batch bicycle rights trust fund….